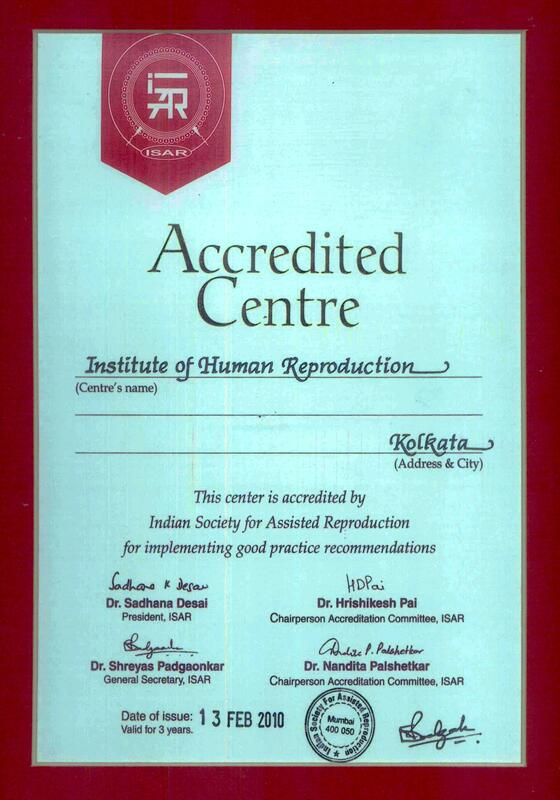 The Indian Society for Assisted Reproduction is a National Body that was started in 1991 to create awareness about Assisted Reproductive Technology and help in the propagation of knowledge about the ART techniques and Infertility Management. It organisates Annual National Conferences and International conferences on a regular basis. These conferences bring together prominent experts in this filed form all over the world and act as a platform for discussing enhancements in art technology, new treatment practices. These conferences have helped in assimilating knowledge form world over and have been constructive in helping clinicians offer improved fertility services all over the country. ISAR is affiliated with International Federation of Fertility Societies since 2001 and offers accreditation to ART clinical and institutions. Its national registry has a systematic list of ART centers in India. IHR received accreditation from ISAR in 2010 for the period of 2010 – 2013. We are in the process of renewing the same for the next three years.